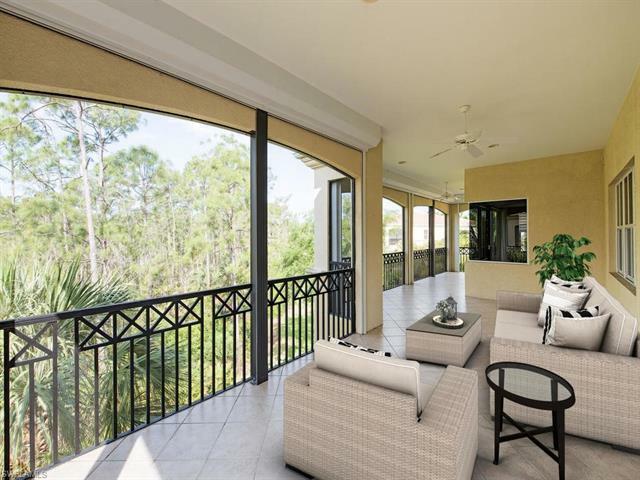 Elegant Tiburon PENTHOUSE with gorgeous preserve views, high ceilings, freshly painted & with many upgrades including electric storm shutters, plantation shutters and blinds. Top of the line, upgraded kitchen cabinets, Miele cappuccino machine & new appliances, granite counters, large ceramic tile and beautiful hand-scraped hickory flooring in bedrooms. Enjoy resort-style living in this Ritz-Carlton Golf Club including 36 holes of golf, clubhouse with concierge service, fitness center, spa and Ritz resort pool. Privileges are included with optional membership at both the Ritz-Carlton Golf Resort Hotel and the Tiburon Golf Club, as well as the private shuttle to the beach with access to chairs, umbrellas and towels via beach concierge. An exceptional property with private elevator & easy to show at your convenience.